Evoking evocations from their Arcane Resonance. Both usages of Magic require essence in some form so it is still a vital resource for Arcanists. Arcanists are not able to wield any items in their hands (Primary and Secondary) during evocations. Due to this, they receive stronger self buffs and cannot train shields. Arcane energy is volatile and hard to control. It’s seldom that it can be directly wielded. Because of this, Evocations and Arcane Resonances were created. Evocations are spells drawn from an Arcanist’s Arcane Resonance. 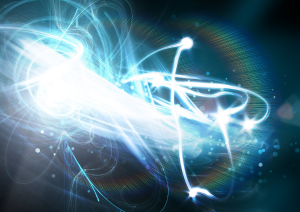 An Arcane Resonance is a small cloud of arcane energy. 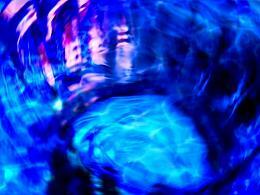 Each Arcane Resonance has 3 types of energy inside that power the 3 types of evocations. Remember, an Arcane Resonance must be summoned in order to evoke! 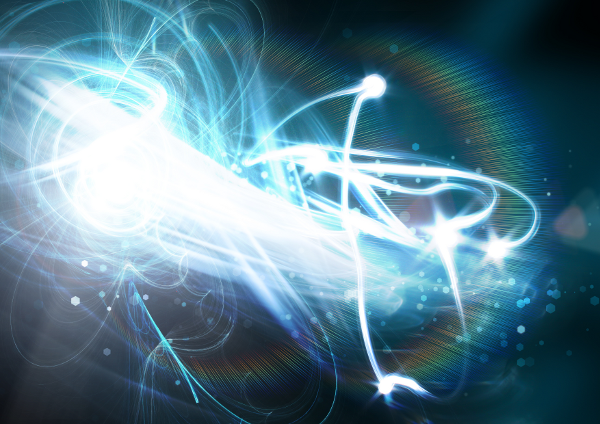 Energy: The pure Arcane energy, sometimes called Narkon, is drawn out to deal damage to the Arcanists enemies! Diminution: A type of energy, sometimes called Occanii, is drawn out to weaken(debuff) the Arcanists enemies! Chronos: A rare and powerful Arcane energy, sometimes called Aeanum, is drawn out to control(stun, freeze in time, slow) the Arcanists enemies! When each evocation is used, the cost is deducted from the Arcane Resonance. When an energy level(energy, diminution and chronos) reach a level of 0 on an Arcane Resonance, the resonance vanishes and a new one must be summoned. When an Arcane Resonance forms, a series of extra modifiers will randomly generate. These will automatically be added during evoking and affect the evocation type they’re attached too. Potency Increases the effectiveness of evocations. Duration Increases the duration of evocations. Accuracy Increases the attack rating of evocations landing. New evocation modifiers can be gained during game play! Due to the unpredictable nature of the Arcane, evocations can lower the cost of other types on the Arcane Resonance by 10% each. These affects can stack and last for a short time. Proper planning will ensure good efficiency and usage of the Arcane Resonance! Energy evocations lower the cost of the next Chronos evocation. Chronos evocations lower the cost of the next Diminution evocation. Diminution evocations lower the cost of the next Energy evocation. Find the best way to chain and combine your evocations together for the best affect! To cast evocations, an Arcane Resonance must be summoned. Upon summoning the Arcane Resonance a display of the energy levels and evocation modifiers will be shown. The above Arcane Resonance has been summoned for a small essence cost. It has 65% energy, 85% chronos and 63% diminution energy levels. In addition, the Diminution has 2 Quicken Modifiers, which will allow faster cast time on those evocations. This particular situation is very good since the Arcanist can quickly debuff their enemies and then unleash with a barrage of Energy and Chronos attacks! The amount of energy per type is based on the Arcanist’s intelligence, any skills and a touch of randomness. You can also summon a new Arcane Resonance again, without dismissing the current one. The current one will automatically be dismissed. You may summon another Arcane Resonance at any time! Your Resonance will automatically follow you if you NEWBCALL or get teleported by a staff member. For all other instances, you will have to manually call it. Arcane Resonances require essence to keep up. Every 60 seconds essence will be drained from you. If your essence runs out, the Resonance will become unstable and collapse. A new one will need to be summoned. It’s suggested to summon an Arcane Resonance before you engage combat or enter a dangerous area! Arcanists are masters of runes and can create powerful affects and utilities. Runes take energy to run and each time it triggers, energy will be drained. Some runes vanish when drained, others can be recharged. To see if a rune vanishes on drain or not view its help file. Runes automatically display their charge level to any Arcanist who can see them. Fully The rune’s energy level is at 100%. Highly The rune’s energy level is between 75 and 99%. Medium The rune’s energy level is between 25 and 74%. Weakened The rune’s energy level is between 1 and 24%. Drained The rune’s energy level is at 0%. Some runes may be recharged, see the section below. If your runes are weakened, it is a good idea to take the time to recharge them! There are three types of runes: Player, Item and Room. Player Runes These are placed only on the Arcanist in certain wear locations and are used to buff their attributes. Some runes can increase an Arcanists defenses or offense. Item Runes These are placed on a weapon or armor, increasing its effectiveness in some way. Examples include increasing the durability of an item or placing a weapon enchantment on it. Room Runes These are placed in the room and can be interacted with. Examples include a teleportation rune when stepped on, teleports you to another location. To see which type each rune is, as well as extra details, view its help file. You may omit the ‘Rune: ‘ portion during cast! For example, “cast shadow” equals “cast ‘rune: shadow'”! Runes can be interacted with – which makes them extremely powerful. Runes can be each set to only trigger or allow certain people to use them. Or the Arcanist may recharge his or others runes, or try to diffuse them. This is done with the runic command. The interacted rune must be HELD, ARCANIST ONLY RUNE, or in ROOM. Syntax: use ‘runic’ <rune> access manage <name> – Adds or removes player name to the trigger list. Syntax: use ‘runic’ <rune> access view – Views the access(trigger) list on the rune. Syntax: use ‘runic’ <rune> executor manage <name> – Adds or removes player name to the executor list. Syntax: use ‘runic’ <rune> executor view – Views the executor list on the rune. Syntax: use ‘runic’ <rune> code set <code> – Sets the code on the rune, if it uses one. Syntax: use ‘runic’ <rune> code view – Views the code on the rune. Syntax: use ‘runic’ <rune> recharge – Recharges the dorment rune. Syntax: use ‘runic’ <rune> view – Views the rune. Syntax: use ‘runic’ <rune> diffuse – Attempts to destroy the rune. To recharge a rune, the rune must be HELD, equipped on you as a PLAYER rune or already in the ROOM. This will recharge the shadow rune in the room. This will recharge the rune on the sword. Recharging a rune you do not owns reduces the recharge rate since you don’t know its secrets! Runes may also be diffused. This works just like recharging, except on success, will completely drain the runes energy. This will try to diffuse the shadow rune in the room. This will try to diffuse the rune on the sword. To increase your chance of a successful diffusion, gain player levels or train the Runic skill! On rare occasions where the diffusion fails, the rune may explode damaging the Arcanist. However, being a powerful practitioner of the Arcane Arts does come with benefits: you have a chance to completely mitigate the explosion! Some runes have access and executor lists. These are used to control who the rune works for. The rune will always work for the creator of the rune. To determine if a rune uses these, view it’s help file. The access list is used to determine if another player can access it. For example, a teleportation rune will only work for other players if their name is on the list. This will add(if he is not on it) or remove(if he is on it) Dayrinni from the rune’s access list so he can use the teleporter. Remember, the name is case sensitive! A dripping wet blue lake walker is in perfect condition. Any NPC with the name ‘walker’ will now have access to the rune. To determine if a rune uses the access list, view its help file. The executor list is used to determine who can trigger a rune. For example, a seclusion rune (which hides all other runes in the room), uses this to allow other players to see the runes. This will add(if he is not already on the list) or remove(if he is already on the list) Dayrinni from the rune’s executor list so he can see the hidden runes. To determine if a rune uses the executor list, view its help file. Some select runes use codes, which allow them to be linked together. The only rune which uses codes at this time is the teleportation rune. This allows mulitple teleportation runes to be connected. This will set the rune’s code to walkerCaves, and will connect up to any other runes set with the walkerCaves code. To determine if a rune uses codes, view its help file. Arcanists sometime get basic spells to cast. A spell requires essence to cast. This is organized by spells, evocations and runes.